The S.V.M.M. company, based in Valenciennes, France, took delivery of its new Demag AC 160-5 all terrain crane. 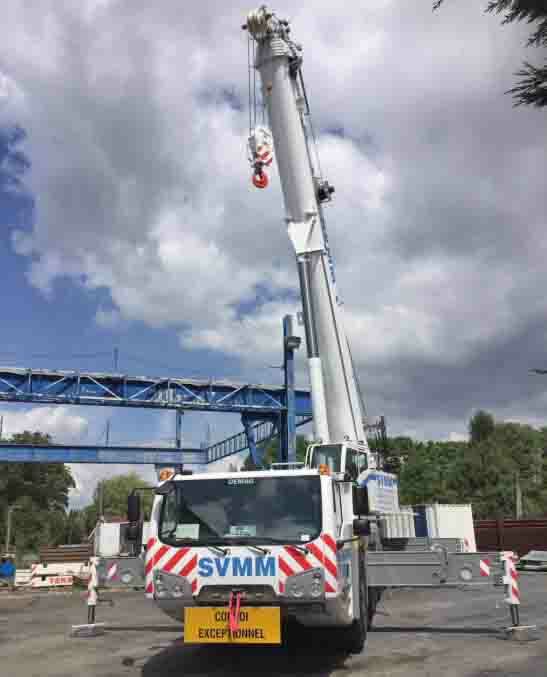 “We chose this new Demag crane to replace the Demag AC 120 that we currently use. The AC 160-5 offers excellent load charts and is very compact for its capacity. In fact, it has the same footprint as the machine it’s replacing,” says Michel Brouillard, managing director of the company. 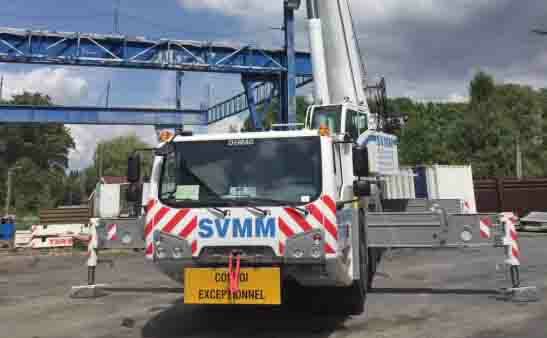 Thanks to its 68 m boom, this new crane allows S.V.M.M. to respond to the demand for setting up highrising tower cranes and building complex steel structures. S.V.M.M.’s new AC 160-5 is also equipped with the IC-1 Plus control system, which makes it even more versatile.